Online collaborate in real time for real results! BASCRM MyProjects empowers your team to create plans, organize their work, and track personal tasks in an easy and intuitive way. It's never been easier to increase productivity and improve visibility into project progress for everyone. 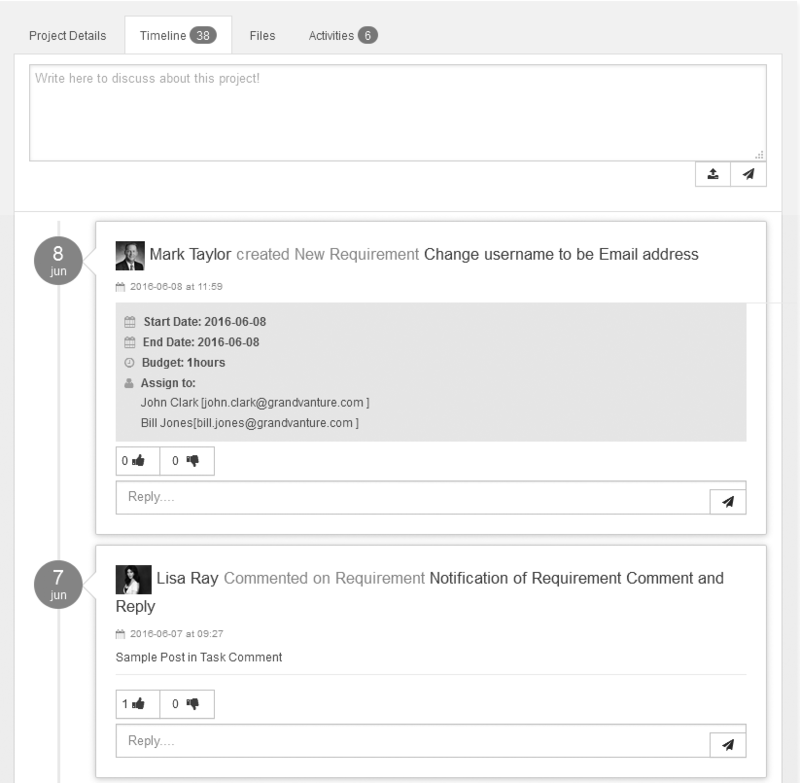 BASCRM MyProjects shortens the time to complete your projects. Within minutes you can create a new project, define your goals and deadlines. MyProjects is a powerful application with no boundries - engage you clients, partners or suppliers to to secure a successful collabration across organizations. 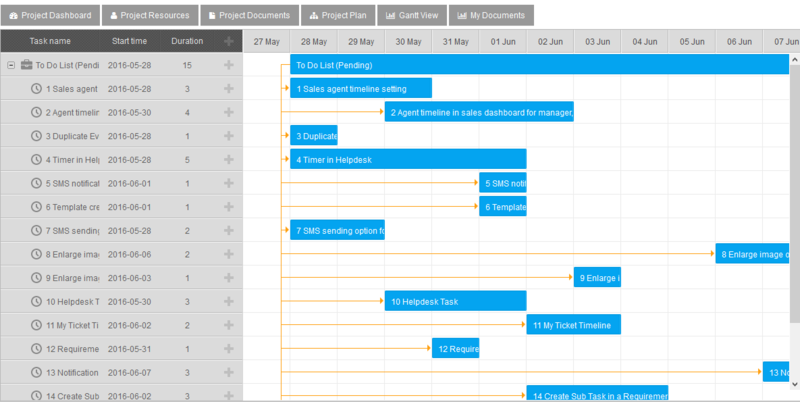 The Gantt Charts allows you to visually see the current state of the project deliveries, set priorities and hierarchies for the project requirements. 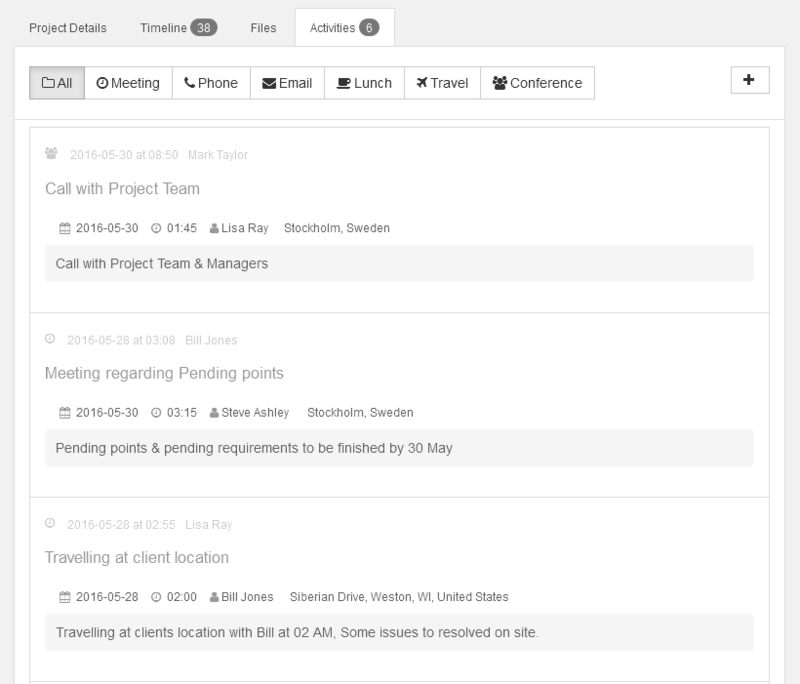 MyProjects task manager makes it easy to delegate tasks, prioritize to-do lists, and make sure nothing gets missed. A task is your to-do item. It can be assigned, labeled, prioritized and tracked. Team members can create, assign tasks and leave comments for each other on tasks to keep track of progress and ask questions. A successful combination of project management and resource planning is ability to track project activities, BASCRM Activity Management offers the right tools to collaborate with peers and every piece of activity related to an project is stored for you in one central location. 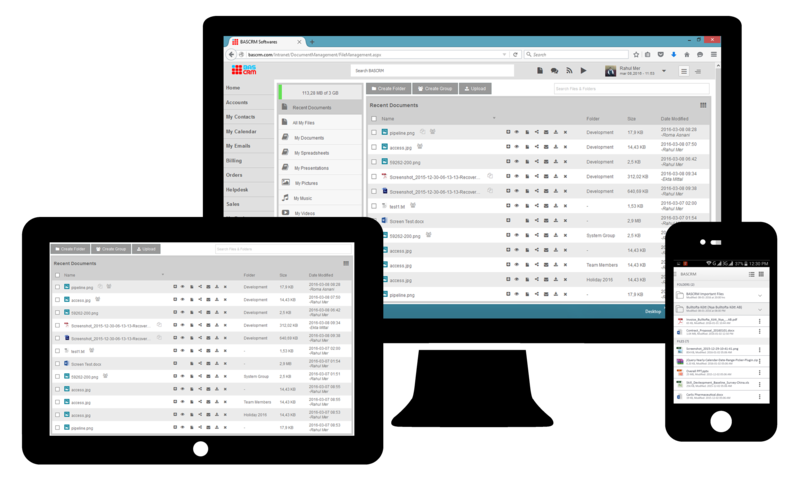 Securely upload your working material, such as documents, images and other files to share with your project team. 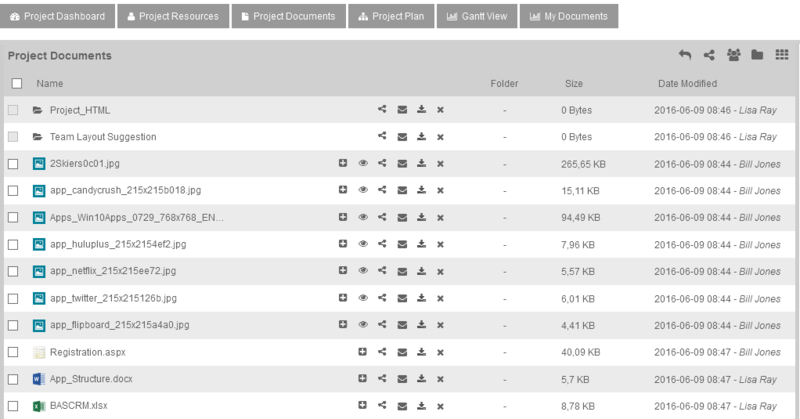 MyProjects Project Documents puts you in complete control over your data.